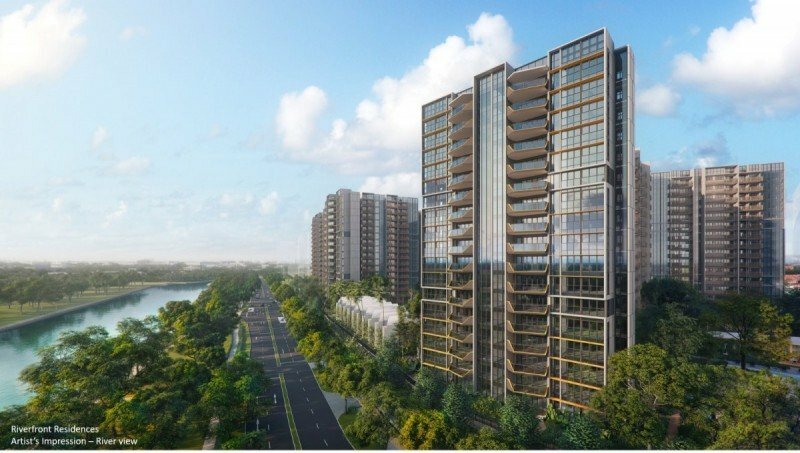 Riverfront Residences – a 99-year leasehold condo development located at 344 Hougang Avenue in Singapore that was formerly a privatized HUDC estate named Rio Casa. 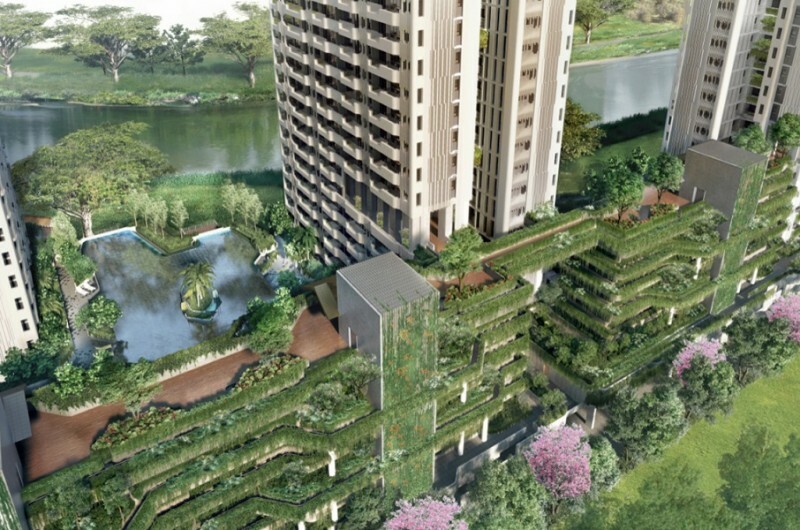 Riverfront Residences is located uniquely position along Sungei Serangoon allows a direct 200m frontage of the riverfront, combined with its proximity to Hougang Mall as well as Hougang Transportation hub, Riverfront Residences Hougang will be an ideal property both for homestay as well as for investment. 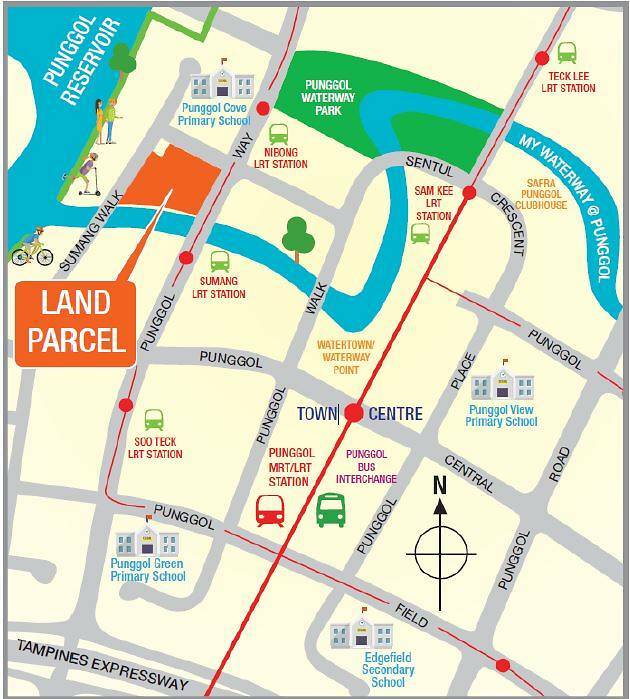 Riverfront Residences is located within 14 minutes walk from both Hougang MRT Station and Hougang Bus Interchange based on google maps direction. 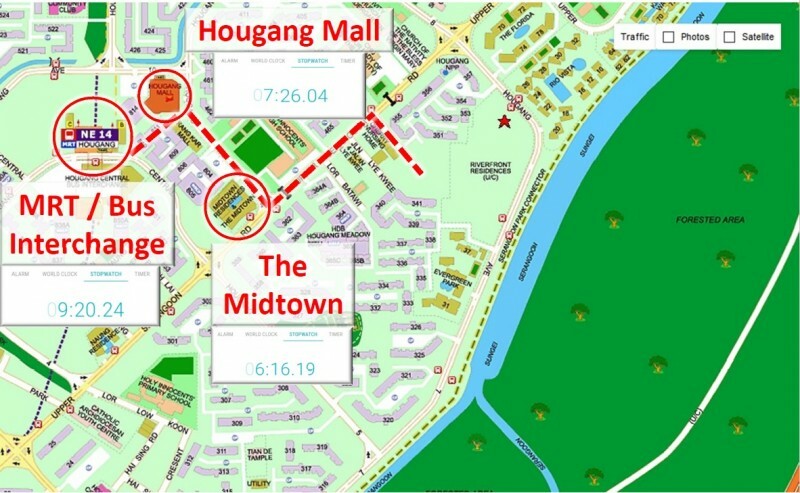 However, if you cut through the blocks (along Saint Xavier’s Lane) and make a beeline towards their closest entrance it would only take about 9 minutes to get to Hougang MRT. 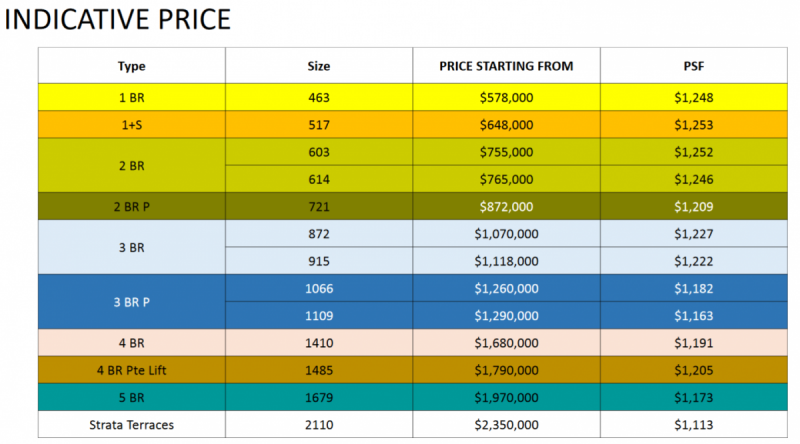 This proximity is pretty decent in my opinion considering there are new launches which are inconvenient to walk to MRT going at least S$1400psf and above such as Whistler Grand and Seaside Residences. 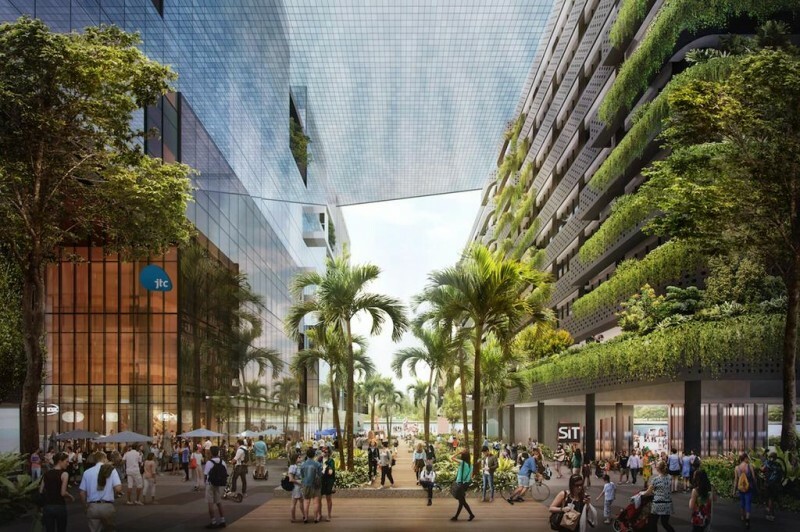 Punggol Digital District – The Digital District will be created by extending the existing Punggol Town Centre towards the waterfront, and developed as a mixed-use district comprising commercial and business park uses, alongside the new Singapore Institute of Technology (SIT) campus. Seletar Aerospace hub – The Seletar Aerospace Park in Singapore is an industrial zone for the aerospace industry. 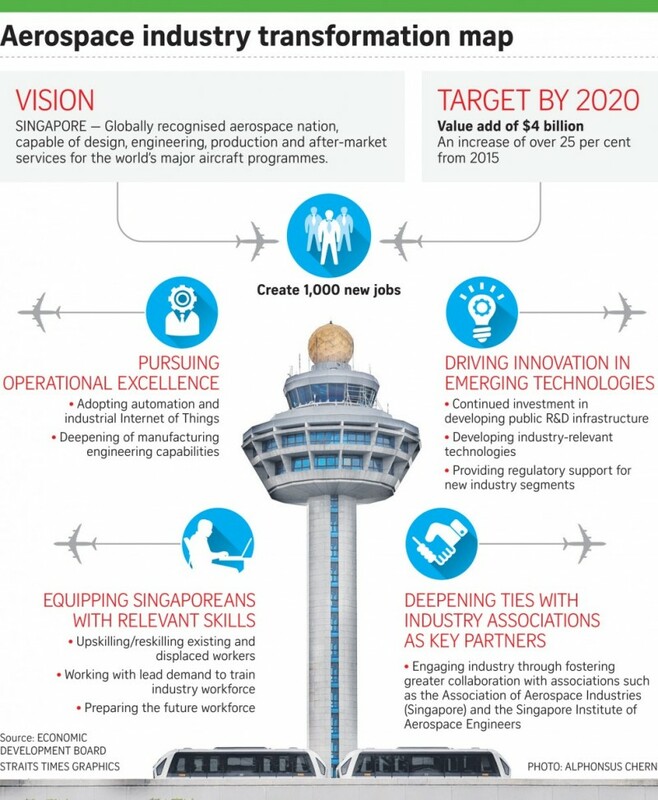 An aerospace industry transformation map (ITM) that could create 1,000 new jobs by 2020 and add $4 billion in value to manufacturing in the sector has been launched. 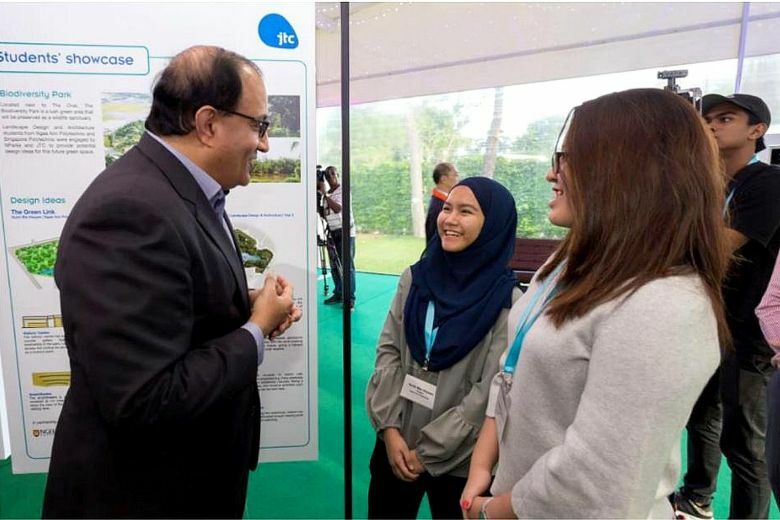 Minister for Trade and Industry (Industry) S. Iswaran (above) with Ngee Ann Polytechnic students who contributed ideas and concepts for the upcoming Biodiversity Park at Seletar Aerospace Park. 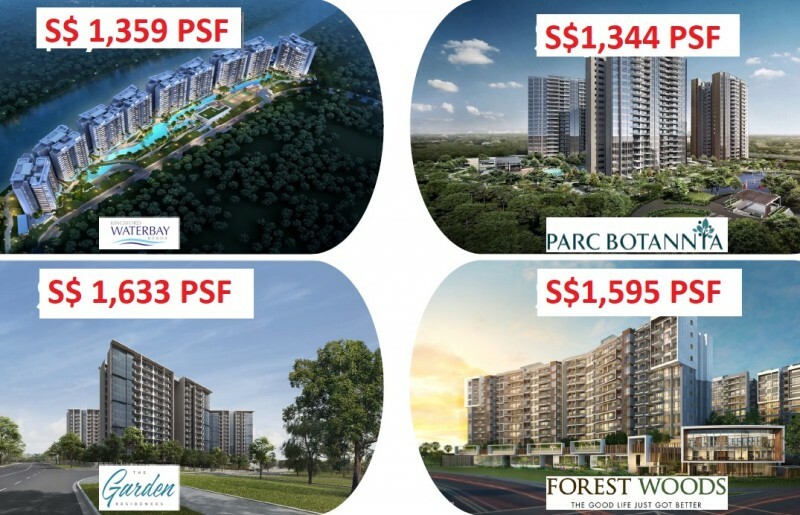 New project launch in Kingsford Waterbay is transacting at S$1359psf and the lease starts from 2014 while Riverfront Residences average asking psf is S$1312psf. The difference is not much however, I noticed that the projects within close proximity of Riverfront Residences are considerably older based on their years remaining on their leasehold. Riverfront Residences tenure is a fresh 99-years from May 2018. 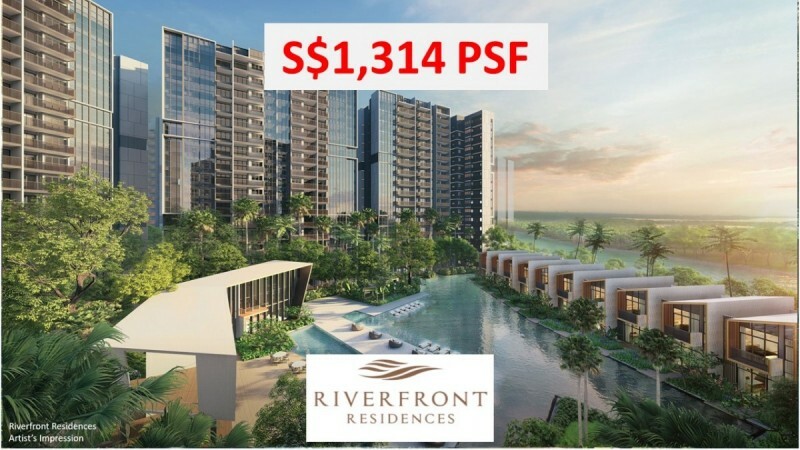 Riverfront Residences Average asking price S$1314psf. The asking price for Riverfront Residences starts from S$1,136psf and with an average asking price of S$1,312psf makes it the most affordable new launch around the area. Sumang Walk EC plot – Record top bid for Sumang Walk land parcel in Punggol, slated for an executive condominium (EC) development. The site was sold to CDL Constellation and TID Residential for new EC housing, at S$509.37 million which translates to S$583 psf per plot ratio. 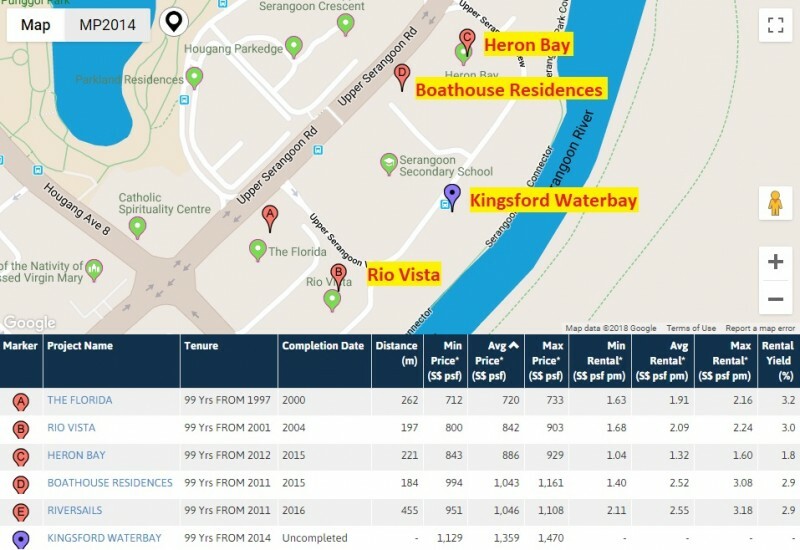 This is also 64% higher than the top bid of S$355 psf per plot ratio for the Rivercove Residences site (Anchorvale) in August 2016, which was the last EC tender. Assuming construction cost is S$350 psf and a mere 15% developer margin as it is an EC project. I’m guessing the sale price for the next EC at Sumang Walk would be at around$S1,073psf which is relatively high, considering ECs are 20-30% cheaper than a private condo because of eligibility requirements as well as government price control. Do note this site is in Punggol and much deeper into suburbs compared to Riverfront Residences. 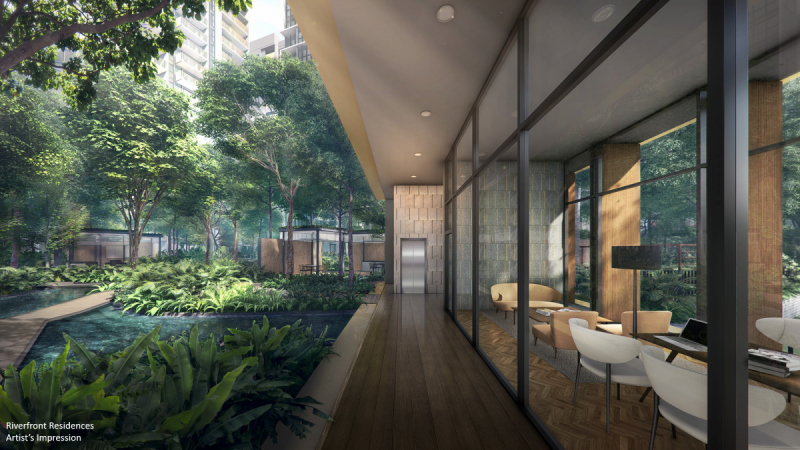 Riverfront Residences is developed by KSH Development, Oxley Holdings, Lian Beng Group and Apricot Capital. 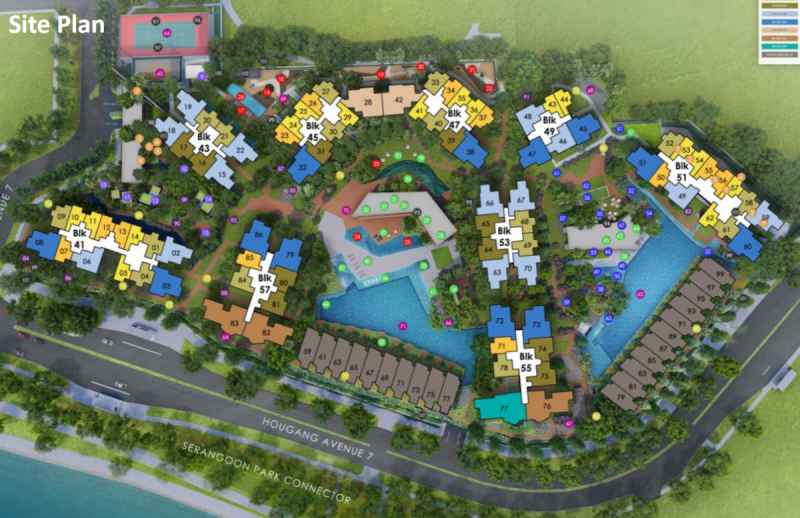 Riverfront Residences in Hougang has sold more than 52% of its 1,472 units. This is clear indicative that buyers are indeed responding to attractive prices and potential of Riverfront Residences. 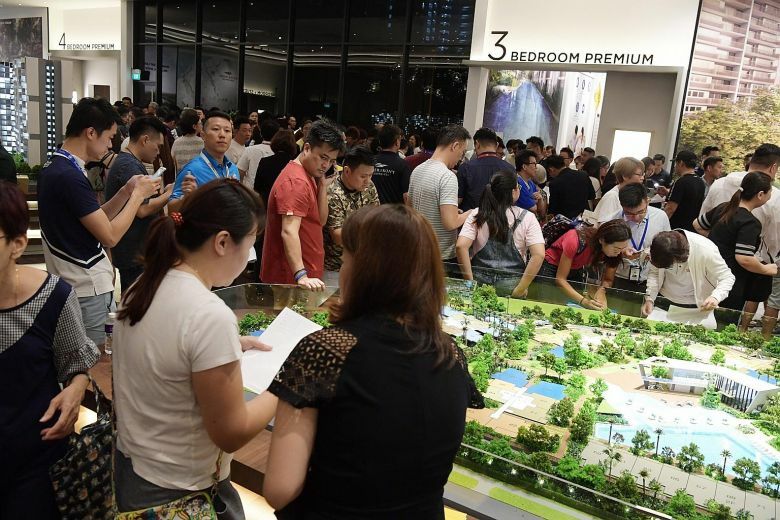 A large crowd of buyers gathered at the Riverfront Residences showflat on July 5 2018. 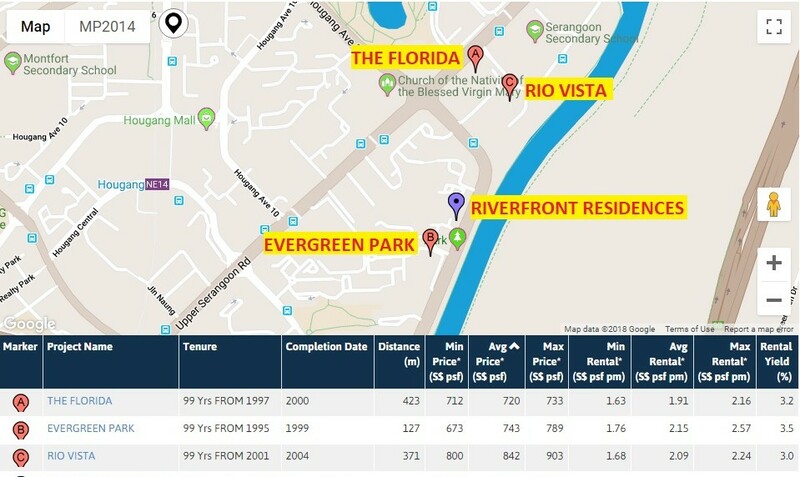 Personally, I am very pleased with Riverfront Residences in comparison with other recent launches, whereby developers are marking up prices drastically such as Woodleigh Residences (around S$2,000psf) and Affinity at Serangoon (around S$1,500psf). Riverfront Residences also is one of biggest development in Hougang and other condominiums surrounding Riverfront Residences are relatively older and there is limited land for new developments as massive as Riverfront Residences. I would recommend this to investor’s who are able to see the bigger picture in terms of capital appreciation as rental yield may not be that attractive in this location. If you would like to have the Riverfront Residences brochure, floor plans or pricing, do inform us.